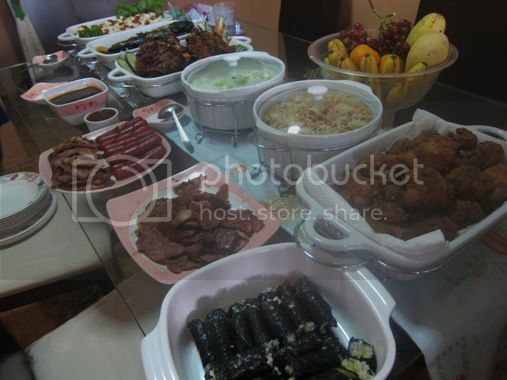 We went to my parents’ place in Cavite a day before Christmas for our annual family reunion, and this was what we had on our dining table on Christmas Day. As you can see, we had a lot to fatten up everyone. Did you have a fattening Christmas, too? This entry was posted in Christmas, Christmas Feast. Bookmark the permalink.